To create faultless bass effect, you can not lack a professional bass guitar during guitar performance. 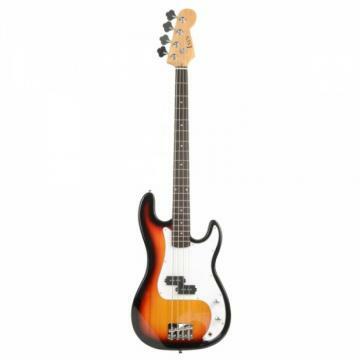 This Exquisite Burning Fire Style Electric Bass GuitarGolden is just the one we are glad to recommend to you. Though it looks quite similar to the ordinary guitar, it actually is quite different from that one when it comes to function. Compared with guitar, it features thicker strings and larger string tension. And it is located on low-pitch site, which makes it perfect in sending out wonderful bass effect. Moreover, this bass guitar adopts superb wood and synthetic material, so you can trustingly take it back home for entertaining!